Classroom memories from childhood recall images of dusty green chalkboards, manual pencil sharpeners and textbook covers made out of brown paper bags. While remnants of those old school days remain in classrooms around the country, many have been catapulted into the future with digital whiteboards, iPads for kindergartners and Chromebooks replacing textbooks. Technology abound, and with Generation Z’s digital futures ahead of them, it’s only natural that schools are embracing the role technology can play in enriching the learning experience. And who best to support that movement than teachers themselves? According to thePew Research Center, 92 percent of teachers said that the Internet has a “major impact” on their ability to access content, resources and materials, and many are finding that it helps their ability to interact with students. Even more importantly, instructors have reported that digital technology in the classroom has increased students’ academic performance. (Cengage Learning). The integration of technology in classrooms is an ongoing and monumental task. There’s also a huge disparity when it comes to technology access, whether due to socioeconomic factors, lack of resources, knowledge and budget. It will take an estimated $15 billion to make our schools “technology rich,” according to a report byETS Policy Center. It’s no small feat by any means, but as the U.S. continues its decline in global education rankings, something needs to change. Of course, simply handing kids iPads and writing on digital whiteboards is not a silver bullet for improving the educational system. It’s an insightful viewpoint, and one that is also shared by Matt Wallaert, behavioral scientist at Bing.com. Make Information Limitless: Internet access in a classroom (provided it’s a safe and monitored searching experience) gives kids the opportunity to expand beyond the boundaries of what they’d find in a textbook. 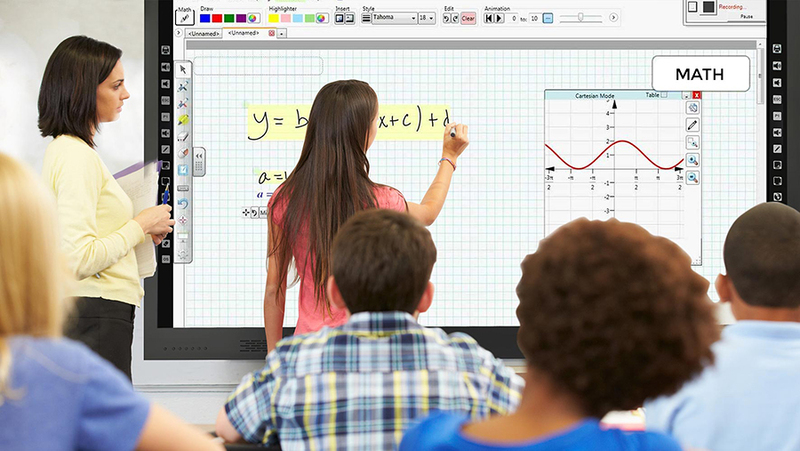 Give Teachers More Freedom: Technology expands the realm of possibilities for how teachers teach. According to a PBS LearningMedia survey conducted last year, 69 percent of teachers polled said that educational technology allows them to “do much more than ever before” with students. Whether it’s taking advantage of online lesson plans, web-based activities or educational websites, technology allows for more flexibility with the curriculum. Adapt to Different Learning Styles: “Because digital technologies can allow every student to proceed at a different pace, in theory every student could be optimally challenged at the same time,” says Arena. Get Kids Excited: Hand most kids an iPad and they inherently know what to do, almost instinctually. And while many kids have experienced technology for entertainment, providing them with tools to experience technology for education keeps things fun. A survey of teachers by digiedu found that 93 percent of teachers reported that technology has had a positive effect on student engagement. Prepare Them for the Future: With standardized testing moving online, and an inevitable tech-filled life ahead of them, kids who have the confidence and familiarity with learning from, creating with and balancing life with technology will only benefit in the future. With or without technology, that’s ultimately the goal of any classroom experience, isn’t it? And if technology can serve as the catalyst for getting to that place, we need to embrace it now.